e.g. phase separation and SPE or filtration and SPE. 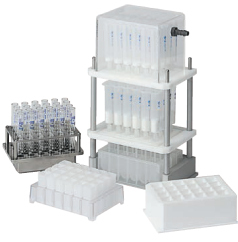 Accepts all standard 24 well microtitre plates, as well as GreenHouse reaction blocks for fraction collection. 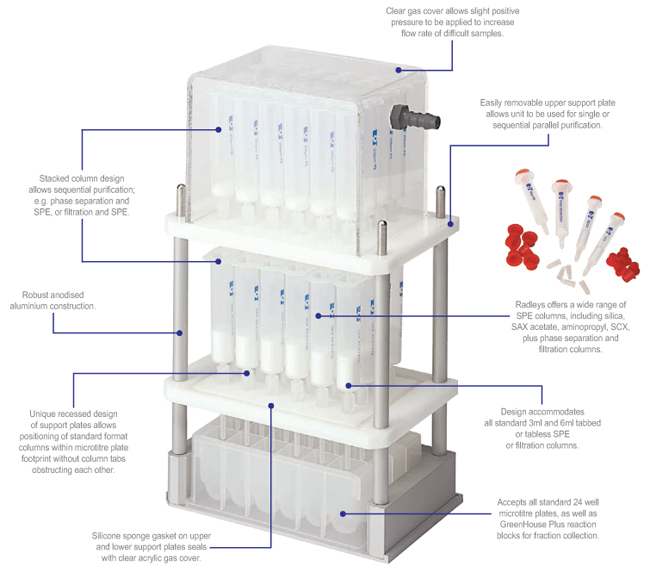 Full range of filtration, phase separation and SPE columns including silica, SCX, aminopropyl and SAX acetate.